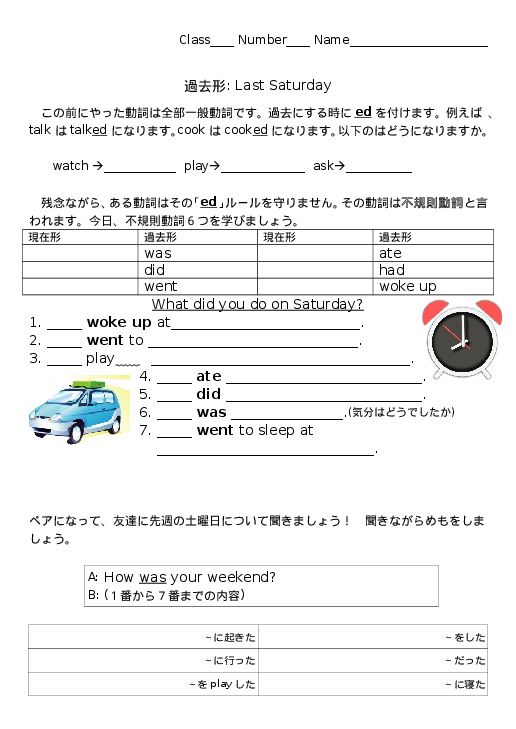 a writing worksheet for the irregular past tense. Words covered are "was, did, went, ate, had, and woke up"
Go over the meanings of the words and have the kids take some notes at the top. Have the kids then fill in the blanks below about what they did last weekend. When they finish, have them interview a friend about what they did over the weekend. Have them then write full sentences about what their friends did.